A professional and free valuation for your properties in Germany. Our agents are there for your. 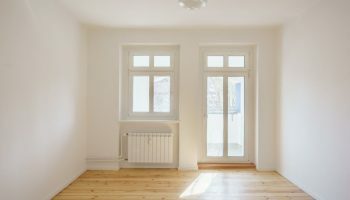 You want to know the value of your properties in Germany? Our international team is there for you. Your property is estimated by our real estate agents without any commitment nor costs. Our real estate agency proposes a complete service to sell your properties in Germany at their best price. From the estimation to the sale, you will have a professional and efficient service, with regular and qualitative follow-up and no charges. Indeed, the agency fees are paid by the buyer. Since 2012, our agency has developed a complete valuation methode. Our international team studies daily the local real estate markets. After considering the specificities of your property and its location, we make an estimation at its best price. In support of our valuation of your properties in Germany, our international team developed a SWOT-analysis (described below). After agreeing on a selling price, we develop the selling strategy. Your property is marketed to our international customers and we will find the suitable buyer for it. Our real estate agents advise you in a competently and comprehensively way. After contacting us, we organise a meeting in person. We view your property in Germany as quick as possible in order to give you our free real estate valuation. We organise the best selling strategy for your property in Germany. A professional photographer takes photos of your property and we create a complete German, French and English presentation. Your property is marketed through our international real estate network in order to achieve the best price for you. We have a broad network of experts. Whether you need a lawyer, notary, architect, appraiser or craftsman, we have the right contact for you. Your property is promoted to find the best buyer at the highest price. In our valuation, we deliver a deep analysis of your property in Germany. All important aspects for selling your property will be precisely mentioned and explained. In our agency, your property in Germany is sold without charges. Agency and administrative fees (notary and tax) are at the charge of the buyers. 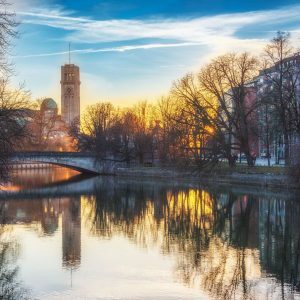 Is it the good time to sell your property in Germany? 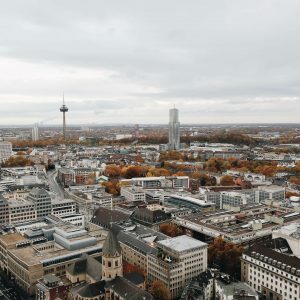 The German real estate market benefits from the current positive economic environment in Germany (according to the IMF, the economy expanded by 2.5% in 2017). The economic conditions (record-low unemploydment, low interest rates) such as the digitisation and urbanisation trends have established the country as a safe destination for investors such as for international workers travelling and settling in Germany to develop their business. The market developments continue to attract investors, and all big cities are concerned. It is the perfect moment to sell your properties in Germany. Our international team is at your disposal to answer your questions and to realise a complete evaluation of your properties and price expectations. We look forward to discuss with you. The German real estate market has been stable for decades in comparison to other European countries. 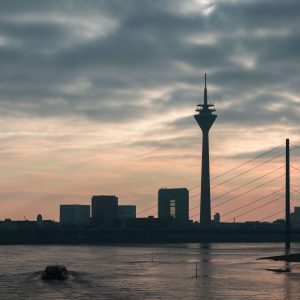 Nevertheless, the German real estate is currently one of the most promising in Europe. Due to the federal structure of Germany, all major cities are quite equally concerned by the global increase. 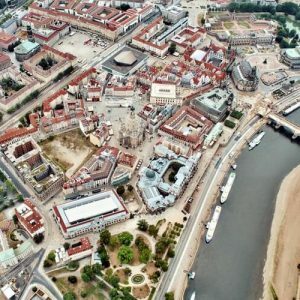 Berlin, Hamburg, Munich, Cologne, Frankfurt am Main, Potsdam, Leipzig, Düsseldorf and Dresden are targeted by our real estate agency as the cities with the most interesting development possibilities for the coming years. As any other real estate market, the framework of the German real estate markets have to be well understood before any sellings. Our international team will explain you our professional and complete selling process to sell your properties in Germany at their best price. Our real estate agency works on the German real estate market since 2012. 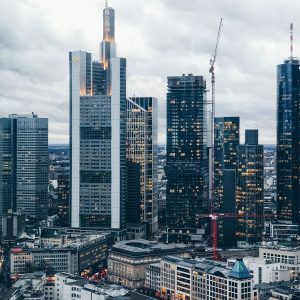 We have developped our valuation and selling process and assembled a complete data bank of German real estate local markets information in order to evaluate your properties in Germany at their best prices. Particullary, our team has created a SWOT-Analysis to frame the valuation of your property. The strenghts, weaknesses, opportunities and risks inherent to your properties are described in a professional and accessible manner. Our studies are based on long and short terms evaluation, according to your interests. During a first personal meeting, you describe us your property and your sale expectations. You are informed about the selling process and our international team gives you an owerview of the current real estate market in Germany and in the city where your properties are located. We are delighted to meet you! Our team comes personally on site to notice the state of your property, the infrastructures, the plan and the neighborhood. Once the data collected and analysed, we are able to propose you a qualitative valuation of your property in Germany. You receive a professional estimation, regarding the local real estate market. Our real estate agency values the best price for your properties in Germany. You will have all the useful information to consider the sale of your property in the best conditions. Finally, you will be aware of its strengths, weaknesses, chances and risks. Afterwards, we market your property in a good quickly, simply, free of charges way. We are by your side at each stage of the process. 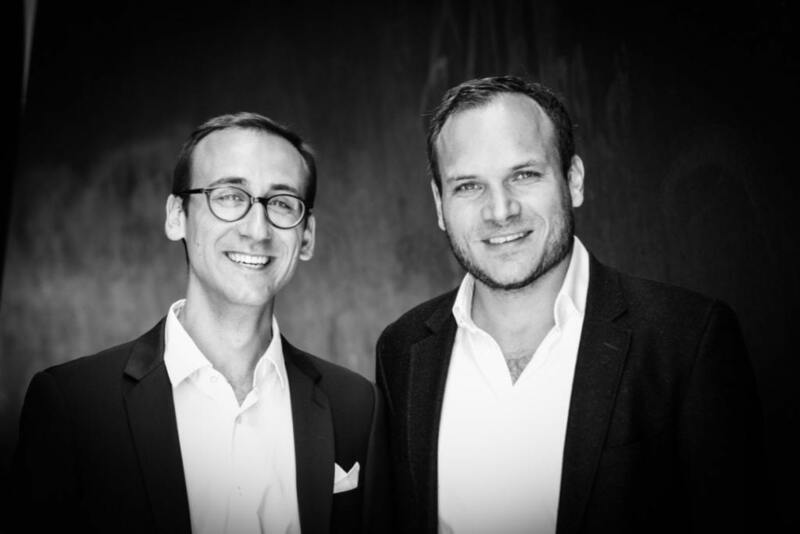 Our international team create a personalised analyse of your property in Germany. The plan of the apartment and its possible evolutions, the co-ownership protocols, construction projects are studied by our experts. For rented properties, our team analyse the current data: rent, renting vacancy risk and perspectives of evolution. Our real estate agency go through a complete sale process, such as the comparison of similar objects and the evolution of the neighborhood. 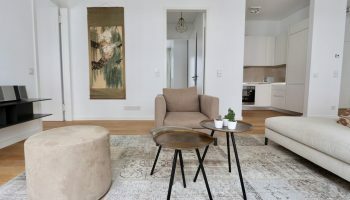 You have the guarantee to receive an evaluation of your property in Germany at the best price, looking to the local market and the current situation. After receiving our free and professional evaluation of your property in Germany, our team organise the selling strategy. The process is adapted to your needs and the specificities of your property in Germany. Together, we develop a sale strategy and market your property in a professional and effective way. 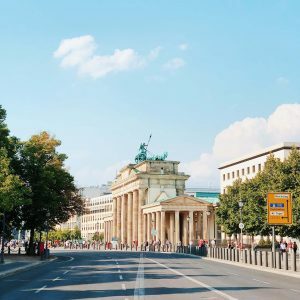 Our experts in Berlin are there for you. Invest-AB is present in those cities of Germany. There we can deliver you a property valuation when you are willing to sell your property. 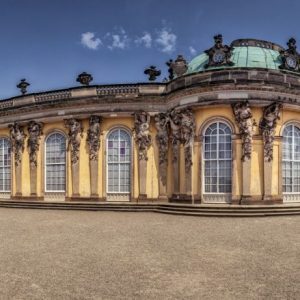 Buildings, apartments or lands – your properties in Germany sold at their best price! I was dealing with Jean Boudin in Invest-AB and found him and them fantastic in every way. Efficient, highly proficient, communicative and responsive. I trusted them from the moment I made contact with them and they certainly did not disappoint. I would highly recommend Jean and Invest AB personally and will work with them in the future…and I recommend you do too. You will be in good hands! Thank you very much Jean and Invest AB, for everything. 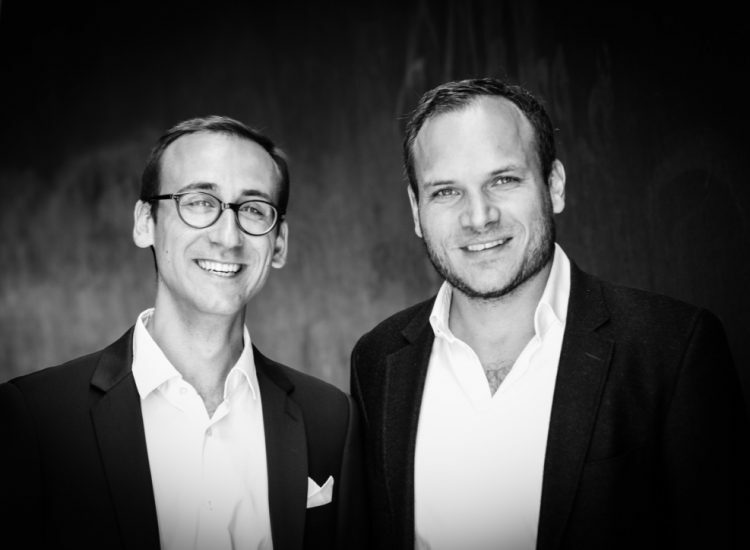 I met Jean and Niels from AB invest for the sale of my apartment in Berlin. They are professional and efficient. Being based in the UK, I need someone I could trust and deal with the sale. They did more than enough I would recommend Invest-AB to any overseas seller for peace of mind. Very friendly team. 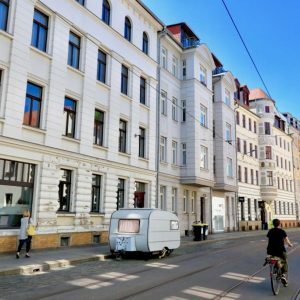 We were able to sell our property in Charlottenburg to a French family. From the evaluation of the property through the purchase process, everything worked very well. Especially personal contact and fast communication were a very important factor for us. 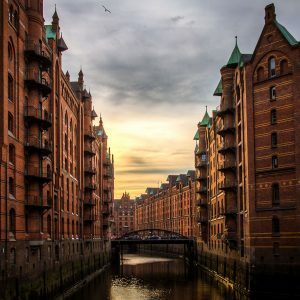 To say that I felt overwhelmed when I realized I needed to sell my mother’s apartment in Berlin, when I live in Michigan, USA, would be an understatement. I found Invest-AB through an internet search, and it was the most fortuitous thing that could have happened. From the beginning, Niels was responsive, helpful, attentive, thoughtful, conscientious, honest, efficient, and effective. 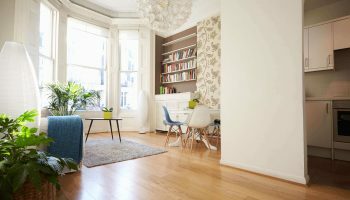 Not only did I need to sell the apartment from across the Atlantic, but I needed help with various services, such as clearing out of the apartment and communication with multiple parties. Within three months, sale of the apartment is complete, and I could not be happier or more grateful. Without Niels’ willingness to assist and his attention to detail, this would not have been possible. I recommend Invest-AB without reservation. We are at your disposal to answer any questions on the estimation of your properties in Germany. Our international team is delighted to read you.